Greetings beloved all. You are loved and this is our message to you beloved. Throw out any err in thinking that you are not , if any! We are here in great number to help you throughout 2017 as many have asked. There are many that are uncertain and we wish for you to know that help is here ! In fact, we are here to help you understand that your err is simply that. An err. Many are wondering about their future. We say to you this, know that God is in control at all times. God has your plans and be rest assured that God knows what He is doing in 2107 and in all years to come. Of course there is no judgement with wanting to be in the know of your future, but we want you to understand that we are helping you and we are here, and we love you very much and will not leave you ever. Ask for your heart’s desire, ask for God’s plan for you and your loved ones. Ask for God to help you strengthen your faith needed. Your love, your joy. If joy, then give thanks for more wondrous joy. Oh how we love to see you happy beloved. We wish for you to be happy and know you are blessed in 2017 and beyond. Know that God loves you and will never let you go, nor can He for He is one with you through His Spirit. Know that we are with you and we love you. Always. And so it is amen, amen, amen. Beloved , and greetings to all. I am Archangel Chamuel and I am a messenger of Peace and good tidings for you and everyone who is willing to hear. You are a bright light, and shining this light is important for all right now. Even when it is difficult for you to shine, ask us in and we will help you. We are always willing and will assist you in every endeavor you ask- We will help you lift now, if you wish, from anything you may be experiencing. Even if you feel joyful, we say , thank you and we will lift you also to a higher state of joy and love and peace. Simply ask us now. Be willing to be lifted. Shift your awareness now to us, to St. Michael the Archangel. to St. Raphael who will lift in tandem, healing and lifting with St. Michael, and to me, Archangel Chamuel and Archangel Metatron. We are clearing around you, you will feel a subtle shift in peace, a shift in love, a shift in harmony, a shift in awareness of that of your higher self. Of the Holy Spirit. A shift in awakening and revealing your own inner truth, your inner light. This healing is a gift for you and all who read this. 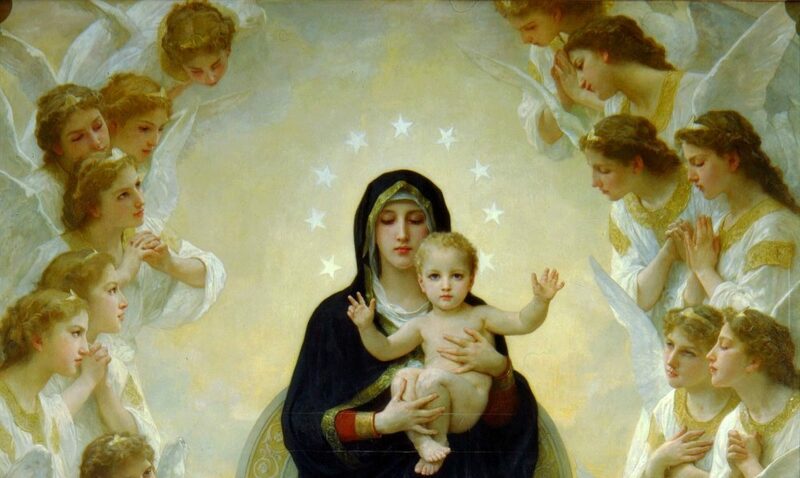 With love it is sent to you and we lift you now beloved, as you read this , and as you lovingly are willing, we send you this love, our love, the love from God and the angels who love you the most ( there are many!). You are worth lifting, you are worth harmony , you are worth peace, you are worth love. You are a gift from God to this planet. You are a gift of love from God Himself. You are worth lifting beloved, anytime you ask of me, or St. Michael, St. Raphael or any Archangel or angel. We are always willing and will assist all who ask of us. We love you beloved, and so it is , we bless you. Amen , amen, amen. Greetings, be at peace with each other beloved. Your Heavenly Father loves you and your family members. Be peaceful as your Heavenly Father is Peace Filled and Loves you entirely. Loving each other is natural for humans. You are naturally made loving and respond to love best when others approach you. Your loved ones deserve to feel your love and you deserve to feel theirs also. Love attracts love. Peaceful outcomes ensue when you focus on giving your heart to others as a gift. Your heart has Wisdom, Love , and Peace filled within it. Your heart is an open door to Wisdom and Peace and others will benefit from using this love for them. Do this often and knowingly. All angels love to help you in this area. We love to help you feel peaceful and we welcome you to ask us into your life and into your situations and heart, inviting us to help you uplift your relationships, your career, the way you feel daily. 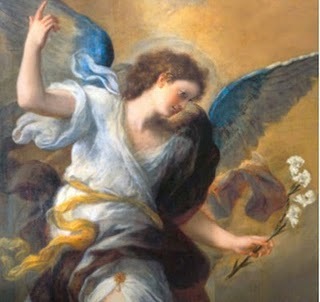 Open your heart now beloved, to me Archangel Chamuel and invite me and the angels and Archangels who love you to open your heart to the Love of God- to the Peace of God Almighty. We will open your heart further- for it is already open and open it to the Love of God. Ask for God’s Love to flow through you often. Ask for God’s Love to help you in all matters -Lift up your concerns to God and know that God Loves you beloved. Be at peace within your heart and open your heart to the Greatest Love Possible. The Love of God is strong, and overflows in your heart now and always. When you ask God to open your heart to His Love and Strength, God will help your heart to be open to Him. We the angels of God encourage this beloved. We ask you to lift your heart now, to God and spend time in His Love – asking God to help you in all matters, and thank Him when you are finished. Thank Him for His Goodness and shift your awareness to His love often. His Love will help you at all times and you are never separate from His Love beloved. We send you this message with love and peace. Be at peace beloved. May all feel the peace of God this day and always. May you feel His Love and Peace now and always. And so it is beloved, amen, amen,amen. New Angel Tea Download Available! Here is the download from the Angel Tea Party! Grab some herbal tea and join in! This is very high vibrational and includes a loving channeled message with St. Michael the Archangel, an angel message on New Beginnings, a powerful ‘Angel Light Exercise’, plus angel guidance to the questions presented- This is great for everyone! Positivity is helpful in any circumstance- this is well known by many. This is a time on Earth where your positivity will help the world shift into a healthier vibrational frequency. This is different than gamma rays – positive vibration will increase your well being, your health, your friends, your family affairs. Positive thinking is more than just thoughts. It is a way of thinking that helps everyone around you. Positive thoughts has its own vibration in itself. Positive thinking will help raise the vibrational frequency of others around you- just by staying positive- you automatically attract positive outcomes to every situation. Think of a situation , lift any concerns to God first, pray always- then say” I am one with the highest possible solution for this situation” In this way, you are helping the situation by announcing out loud a positive outcome is inevitable. In this day and age- you are manifesting at a faster rate than ever before – and are helping those around you just by thinking positively. Prayer helps of course, and is more powerful than positive thoughts or affirmations. Pray first for the highest possible outcome for any given situation. Lift any concern to Heaven- ask for St. Michael to guide you in releasing any worry or fear based thought to help focus on the highest possible outcome. And think to yourself. “I am not one with the highest possible outcome always. The highest possible outcome is what will manifest now and always for all concerned.” Affirm this loudly if you like. Affirm often and as much as you like. Prayer is what helps you connect with God the Father, Christ His Son – and knowing this is so is what will help you affirm positively. Giving positive vibrations is easy- it is what you given when you love, when there is peace, when you have a loving moment of course. Focus on the Most High for a moment or two. Lift up your heart to God and ask God to help you shift your thinking – to guide your thoughts more positively. This will help with any situation rest assured, and asking God for His guidance is recommended for health and in any circumstance. There is never a need for concern and do not let your heart worry or be troubled – for you are blessed. We lift you , cleansing you of any worry or negativity, helping you to lift your thoughts higher, to a natural state of love and peace. This will feel high vibrational to those who are sensitive. Just breathe and ask St. Michael to be with you, clearing away any thoughts of worry, err in thinking, or and effects from any fear based thoughts- for they are simply illusion. Focus on the love that surrounds you daily. Focus on the peace of others rather than the opposite. You will soon begin to notice that the positive outcomes are with you always. Just breathe and ask the angels to help you release form any fear based thoughts now and always. We lift you. And so it is , amen, amen, amen. Your spiritual gifts are needed at this time. You were given a plenitude of gifts and abilities, by God for a purpose. A very loving purpose that is. To help others when needed. You can use these gifts within your household, your physical incarnation, your career and your life purpose to name a few. Each of you have been given a loving plenitude by the Heaven Father who loves you. Lift up your intention to God, asking and thanking him for spiritual assistance in recognizing your own gifts and abilities , and those of others. To help understand what it is you will be using them for. These gifts and abilities are irrevocable and God Given for a number of reasons. You can use them to uplift others with Spiritual Counsel. You can use them to heal others, if guided to heal. You can use them to lift Hearts if needed around you. All are given a loving embrace at this time. For this is needed among your world- the Earth. The Earth is blessed always and is always in a state of peace in Truth. However we the angels recommend using your spiritual gifts to help lift in kindness, uplift in Truth, honesty and sincerity. These gifts and abilities were sent by God , for God’s people. Ask now in your prayers to God, for help in recognizing your own inherent gifts. You are needed right now dear one.Your gifts and abilities are needed. You will always have the support of Heaven and the Heavenly Father when you ask about your gifts and abilities. You could even ask Jesus, or the Holy Spirit in prayer if you prefer or in addition to that of your prayer with God.The Holy Spirit can be your ultimate guide in everyday situations- but especially with learning about the Holy Spirit- who is the one who sent you the gifts. The Holy Spirit is God-Sent …and so are your gifts and abilities and they are needed on this planet dear one. You are a Holy Child of god and even if you do not think you have any gifts – I can assure you , you certainly do. A myriad of them. Listen to your heart now beloved. Take some time to go inside and listen to your loving heart’s intentions. What is it telling you? Do you wish to take more healing classes? Then you should take more healing classes. Do you want to learn more about music? Do you wish to write songs and music that soothe? Then do so! Do you wish to incorporate a team of loving individuals to help serve? How do you wish to serve? Ask your loving heart- “How do you wish to serve heart? What is it you want to do?” What are the gifts and abilities I was born with? That I have been given? ” I assure you , your heart has the answers. Pray first, ask God to help you recognize your inherent gifts and abilities. Learn about them in the Bible, or from an “angel referred” source. Ask your angels to guide you to these sources- as some can be found on the internet, papers, books, spiritual authors, public speakers and so forth. Even the library has some good reference material in some places regarding spiritual gifts and abilities. Lift up your prayer to God, and we will help you in learning and understanding how you can help in God’s Plan- for you are blessed now and forever . And so it is, amen, amen, amen.